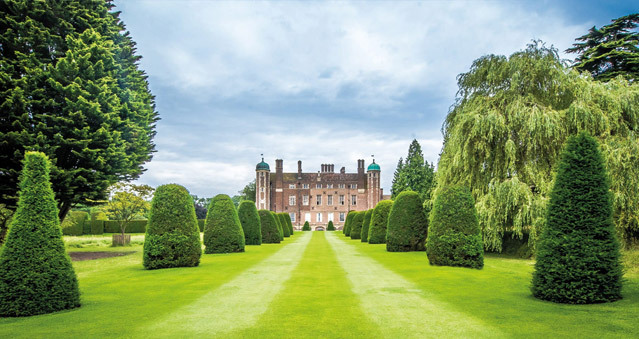 Set in magnificent gardens, the Madingley Hall conference centre provides a memorable setting for your company conference, event and teambuilding activities. Built in the 16th century, Madingley Hall country house has 16 well-equipped meeting rooms capable of accommodating up to 100 delegates, and tasteful en-suite accommodation, all within 7 acres of spectacular gardens and grounds, designed in the 18th century by ‘Capability’ Brown. This outstanding venue is ideal for Family Fun Days, It’s a Knockout, Rifle Shooting, Falconry, Segways, Archery, Laser Clay Pigeon Shooting and Crime Scene Investigation Experiences, to name just a few. Madingley Hall is one of the few University venues to offer all year-round availability for residential and non-residential events, offering superb catering using locally-sourced, seasonal ingredients, a bar for that post-meeting wind-down, ample car parking and even croquet lawns in season. Location: 4 miles from Cambridge city centre and 60 miles from London.